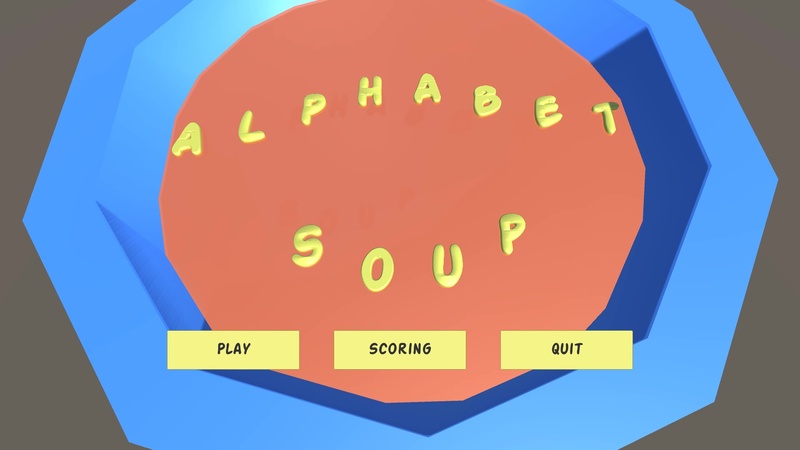 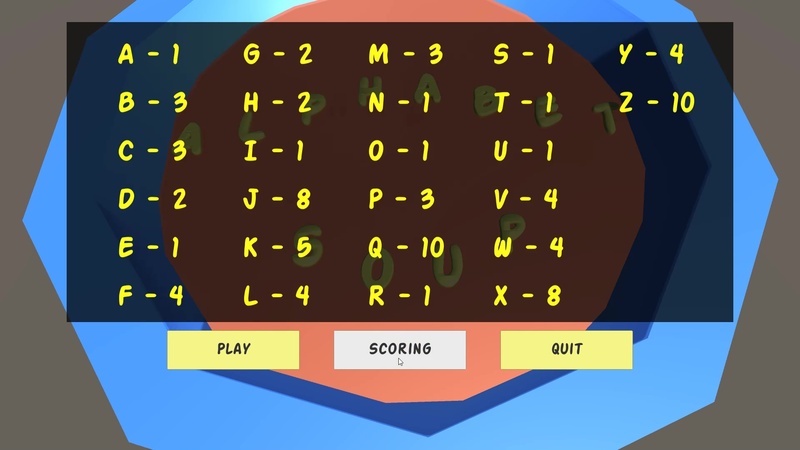 A game where you use the spoon to collect letters and spell words. Use rare letters to get a higher score. 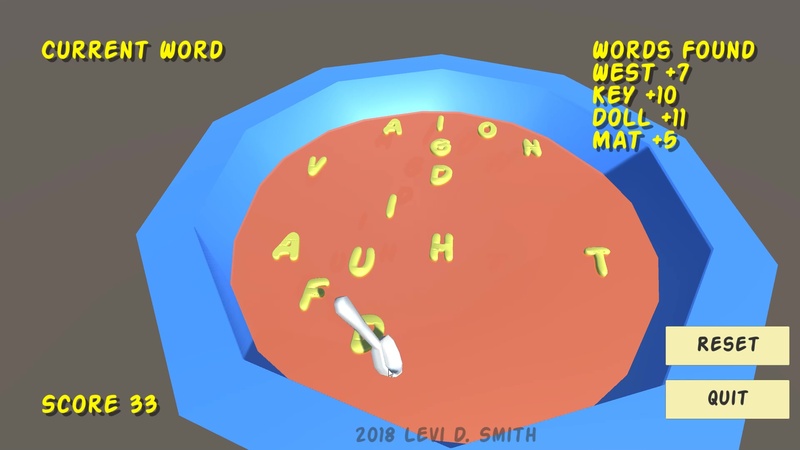 Hold down the left mouse button to start collecting letters for a word. Release to finish the word, and if it is a valid word then the sum of the values of the letters will be added to your score.